Superb stylish dressing table / desk for the modern, urban chic home decor. 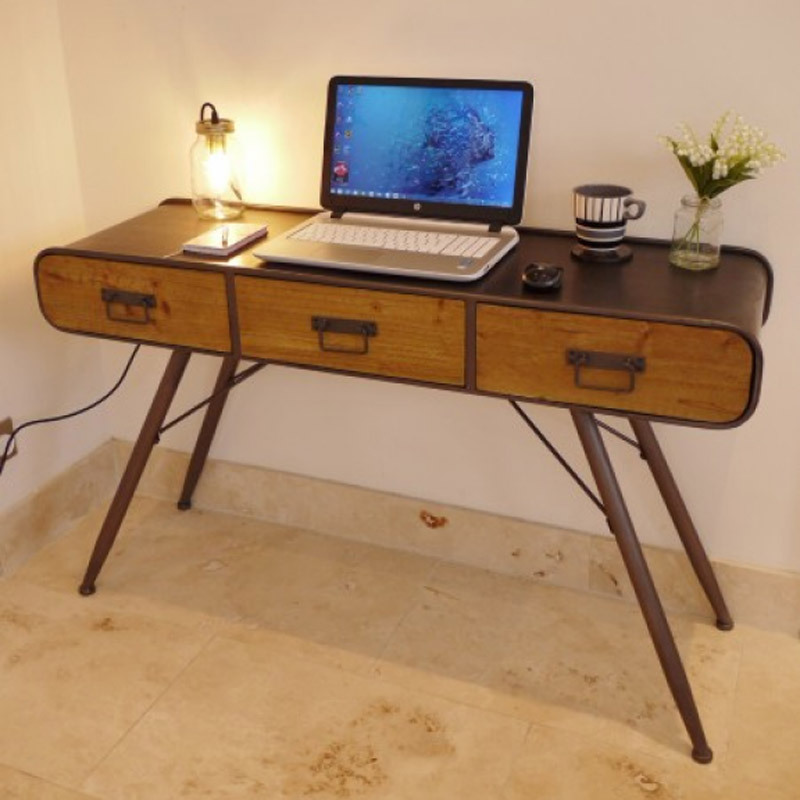 Retro, industrial style furniture for the bedroom or home office. Versatile piece of furniture that can also be used as a loft living style console table for the living room or hallway. The Retro Range comes with matching furniture for a great look. Complete with 3 drawer storage and stylish pin legs. This will suit many interiors for an stylish and eclectic look. Superb stylish dressing table / desk for the modern, urban chic home decor. 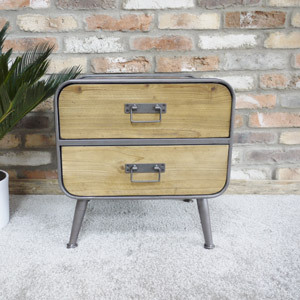 Retro, industrial style furniture for the bedroom or home office. Versatile piece of furniture that can also be used as a loft living style console table for the living room or hallway. The Retro Range comes with matching furniture for a great look. Complete with 3 drawer storage and stylish pin legs. This will suit many interiors for an stylish and eclectic look. Constructed with a metal body in a grey finish and natural wooden drawer fronts. The table requires minimal assembly with just the legs to attach.